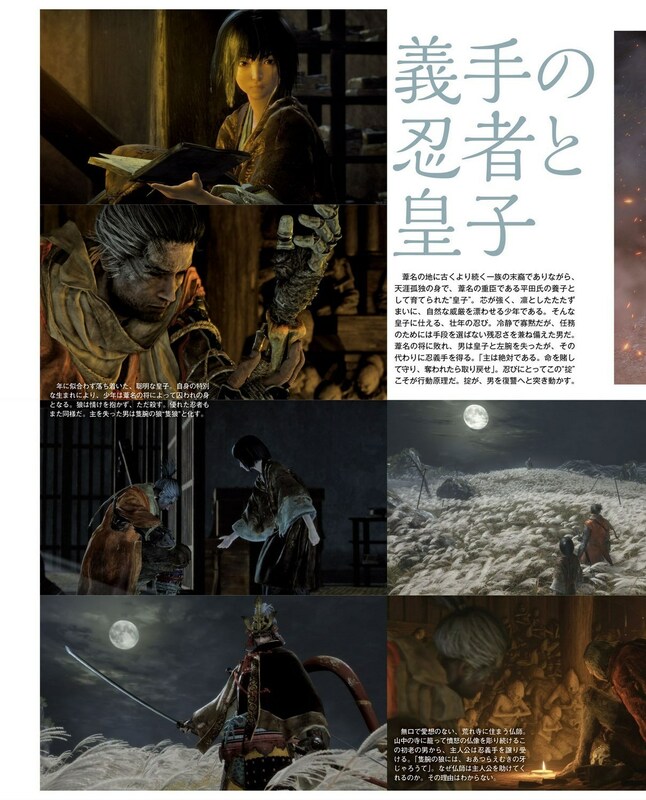 https://www.youtube.com/watch?v=UGPknmiLxGo Presentato quest'anno all'E3 Sekiro si preannuncia essere un nuovo souls like ,ma stavolta ambientato nel Giappone Feudale anche se da alcune scene intravedo qualcosa ripreso dal buon vecchio Tenchu.. Di seguito una prima panoramica del nuovo titolo. 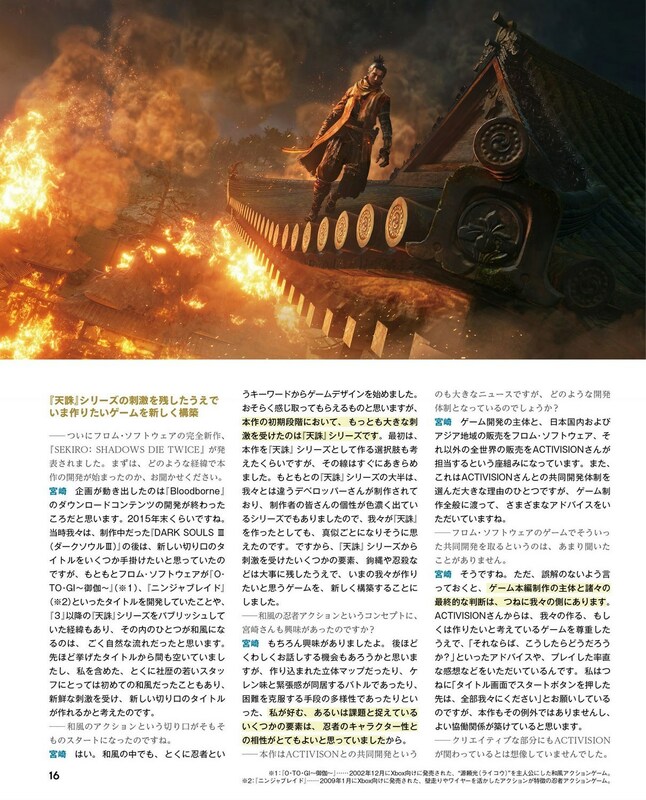 Here is an overview of the game, via Activision: About Your death won’t come easily. 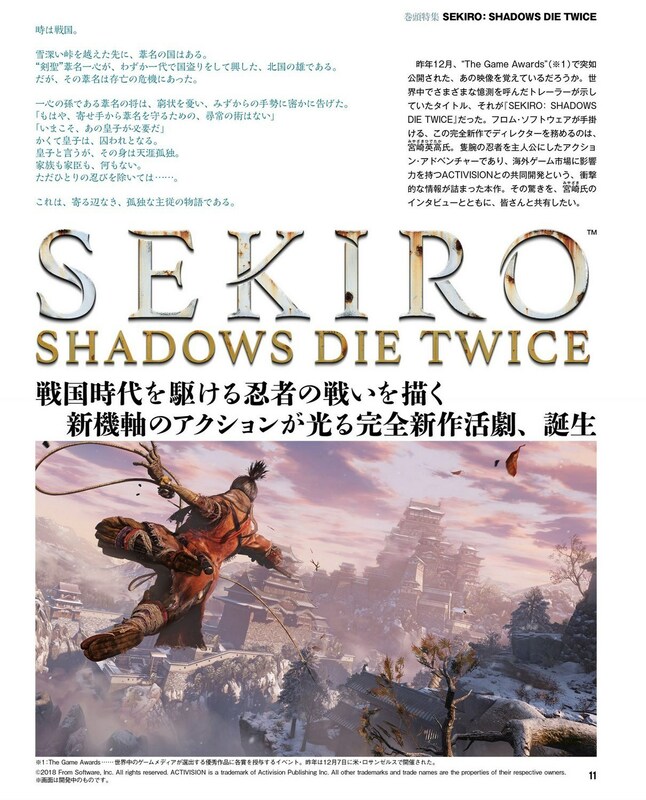 Introducing Sekiro: Shadows Die Twice, a fantastical, dark and twisted new gameplay experience from developer From Software, creators of Bloodborne and the Dark Souls series. 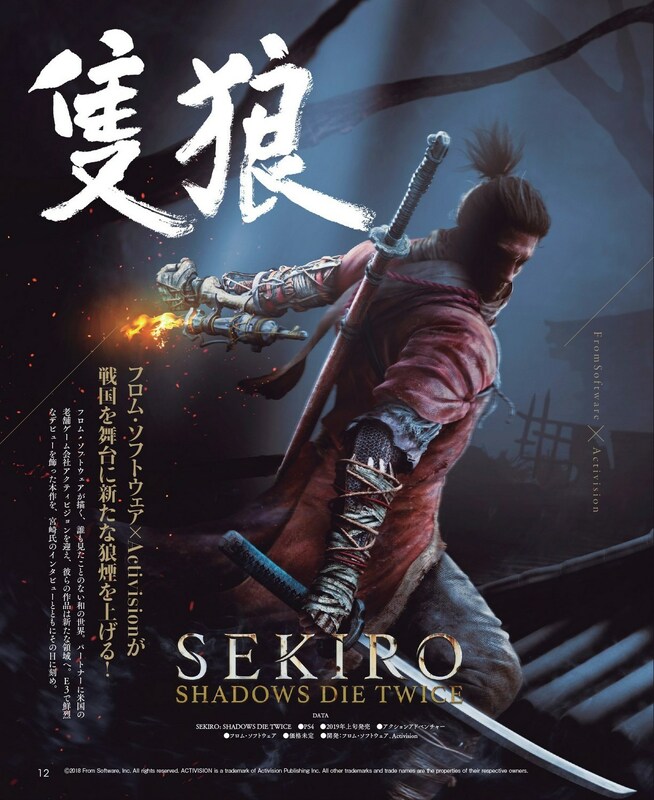 Directed by Hidetaka Miyazaki, and published by Activision, Sekiro: Shadows Die Twice is a third-person, action-adventure game with RPG elements. 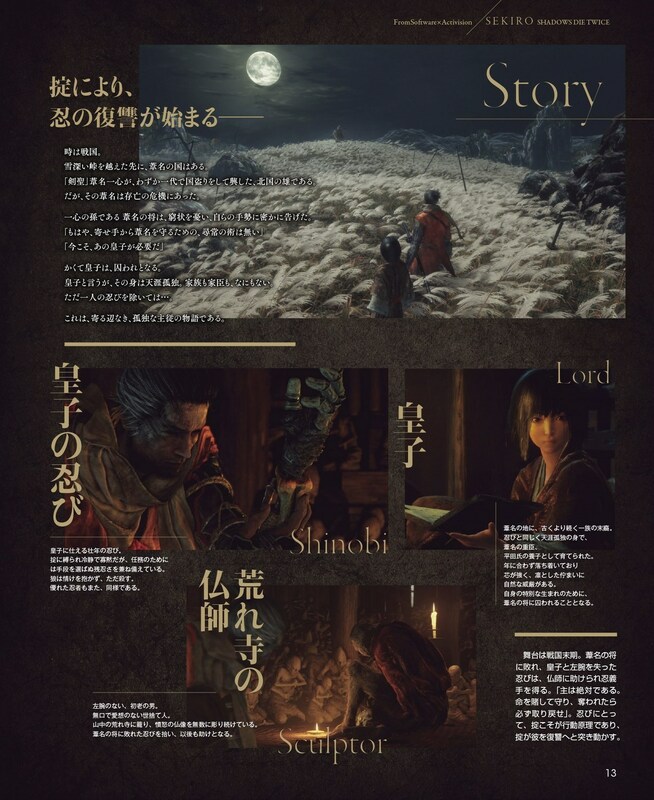 The single-player game puts players in the protagonist role of a hard-hearted warrior whose mission is to rescue his master, a young lord who is the descendant of an ancient bloodline, and exact revenge on his arch nemesis. 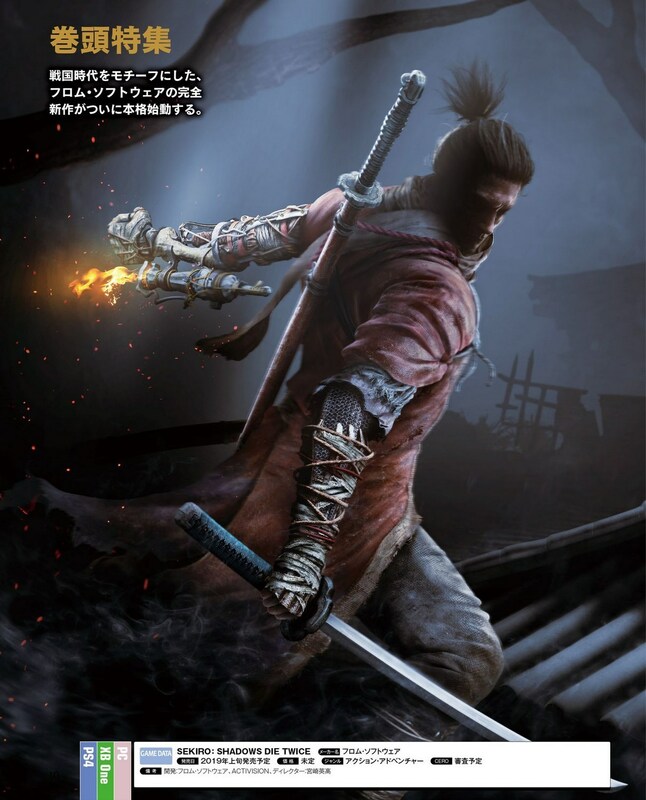 Set in the re-imagined world of late 1500s Sengoku Japan; a brutal, bloody period of constant life-and-death conflict, in Sekiro: Shadows Die Twice you are the “one-armed wolf,” a disgraced and disfigured warrior rescued from the brink of death. In the game, players come face-to-face with larger than life foes; unleash an arsenal of deadly prosthetic tools and powerful ninja abilities to blend stealth, vertical traversal, and visceral head-to-head combat in a bloody confrontation. Take revenge. Restore your honor. Kill Ingeniously. Key Features Kill Ingeniously – From Software delivers their best in class combat in this fast-paced, action-adventure game featuring all new mechanics. Exploration is key – Players will experience the thrill of exploration and discovery in Sekiro: Shadows Die Twice like never before. Through exploration, players can uncover new items, meet new characters, and encounter hidden enemies. 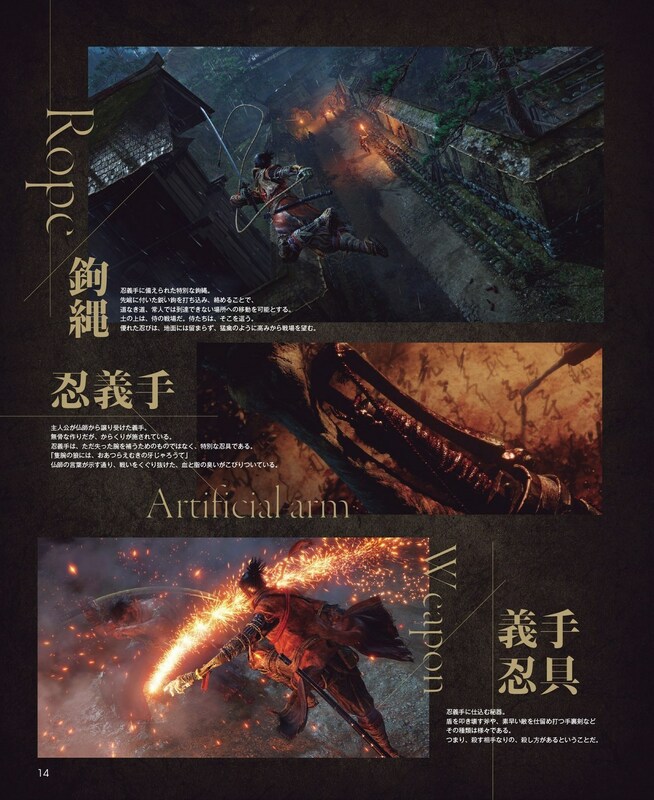 Armed – Sekiro: Shadows Die Twice gameplay is centered around sword combat, enhanced by a variety of prosthetic arm attachments that supplement or change the way a player fights. 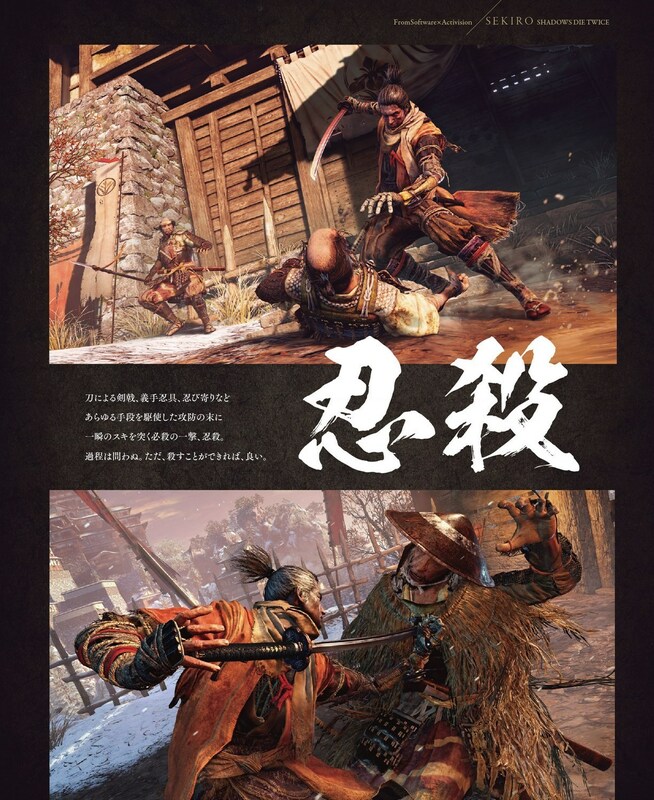 Achieving strategic mastery of “Sekiro” or the “one-armed wolf’s” techniques and abilities, from prosthetic tools, swordplay to stealth and the grappling hook is no easy feat. To overcome difficulties and bring each situation under control, gamers must discover, integrate and use a variety of new tools when heading into combat. 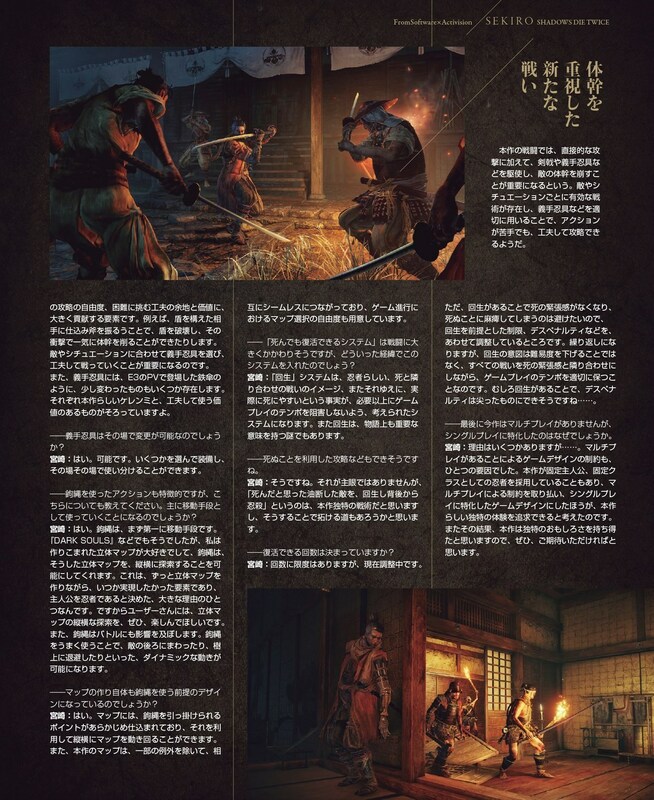 One-armed wolf – Play as a highly talented shinobi in the service of a young lord raised in isolation. After suffering defeat at the hands of a shadowy Ashina samurai seeking the unique heritage of your master, the two of you are separated. Deep in the mountains, in a dilapidated temple, you reawaken to your fate. You must take back your master and exact revenge on your enemy at all costs. 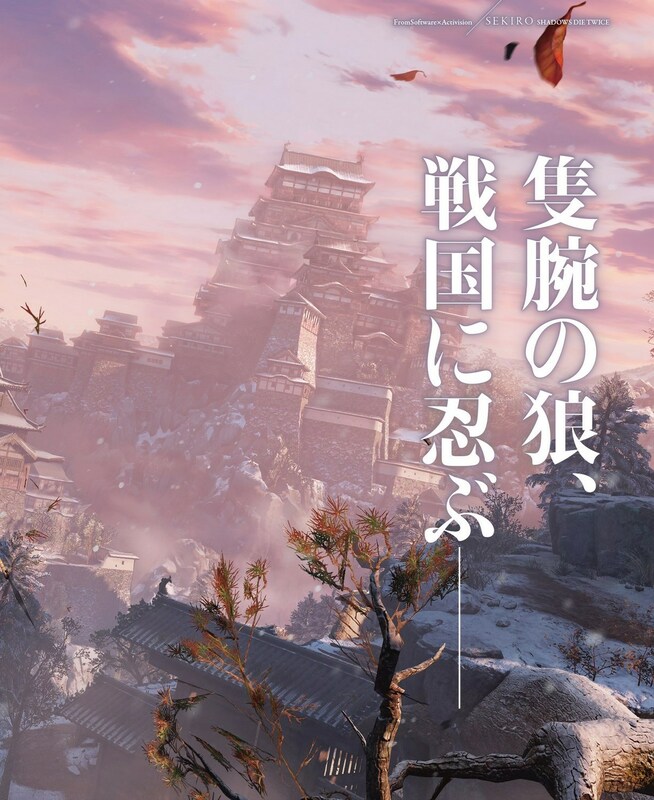 Hard to the core – Sekiro: Shadows Die Twice is a hard-core game worthy of the name From Software. 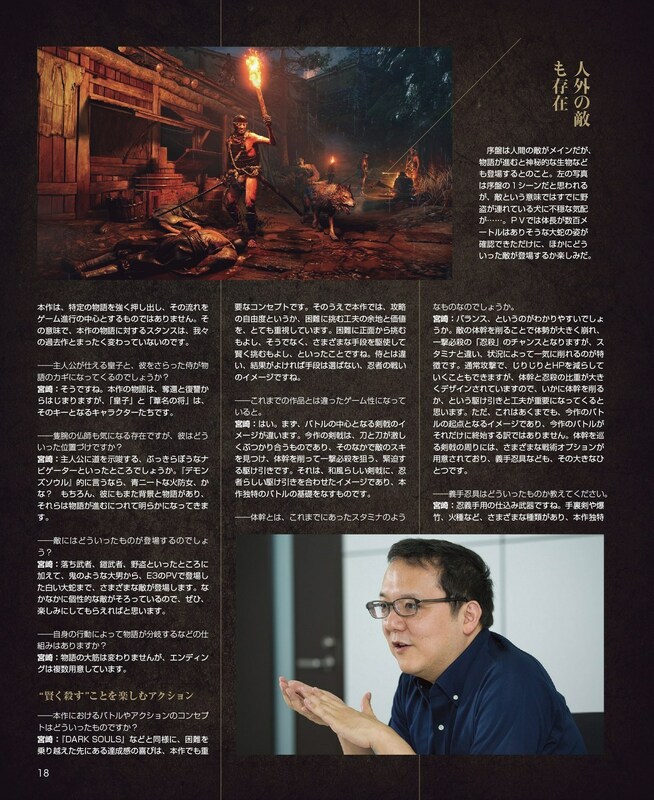 Miyazaki designed Sekiro: Shadows Die Twice this way! Fans of From Software will find the gameplay challenging, yet fun and rewarding. 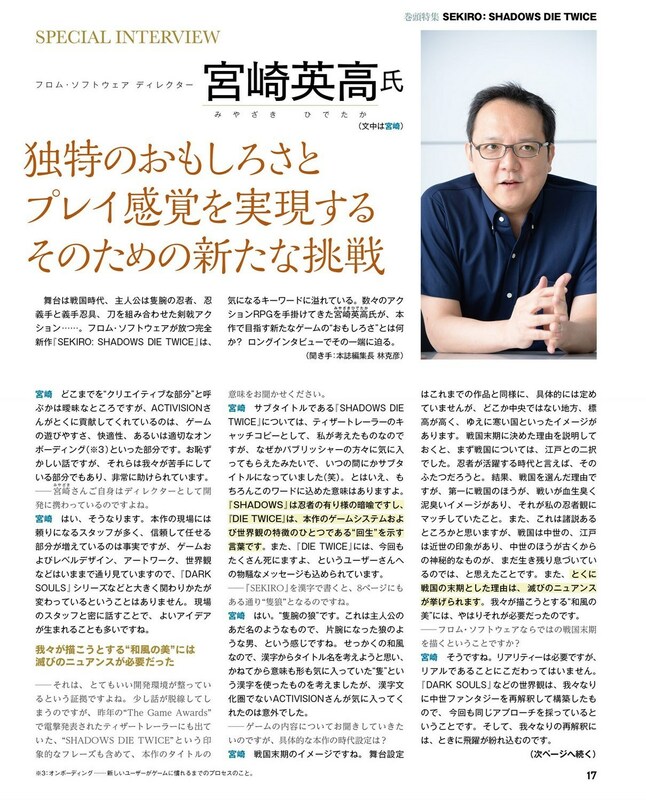 The quality of combat, level of challenge, and creative enemies and bosses are something that can only be found in a From Software title. Reimagined world – This reimagining of Japanese aesthetic blends a withered, yet vivid, world of the late 1500s Sengoku Japan as the age of warring states nears its end. Witness a world brought to its knees by constant bloodshed; a ravaged world on the brink of destruction. Explore these environments, rich with FromSoftware’s intricate design and steeped with secrets to discover. I Souls non li digerisco, se dovesse uscire vicino a Ghost of Tushima passo, se invece sono belli lontani potrei farci un pensierino. Vabbe', stasera lo integro nel journal seppur in ritardo. 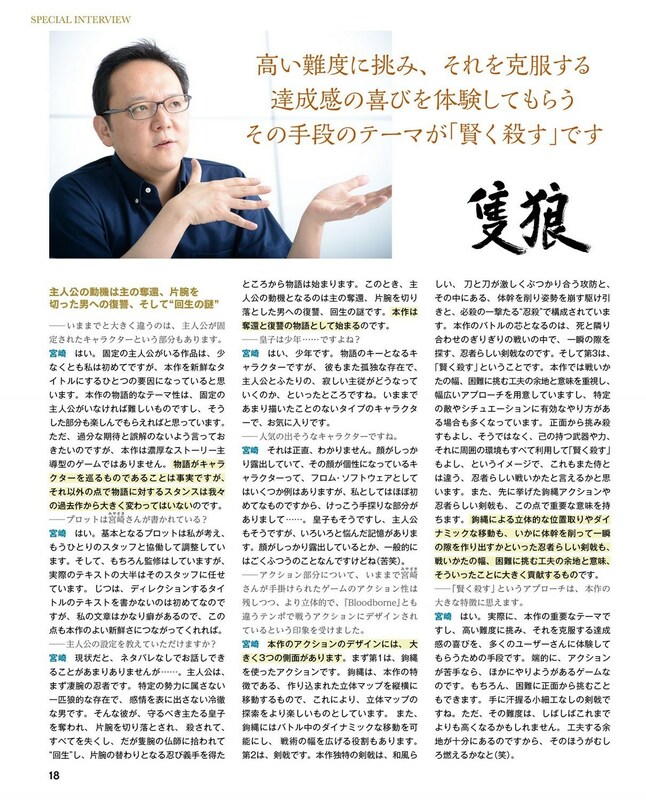 Io ci tengo a fare coming-out e annuncio ufficialmente di essere omosessuale nei confronti di Hidetaka Miyazaki. 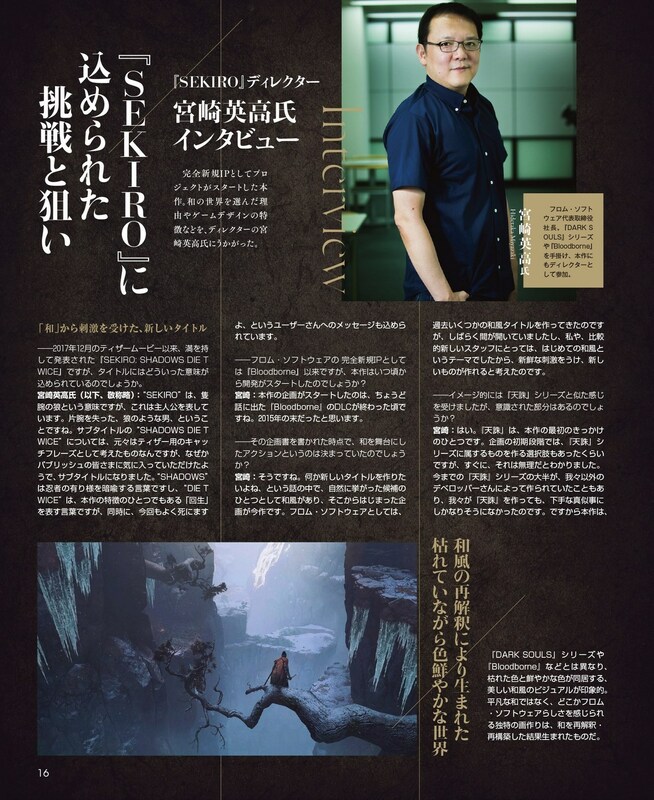 Presentato quest'anno all'E3 Sekiro si preannuncia essere un nuovo souls like ,ma stavolta ambientato nel Giappone Feudale anche se da alcune scene intravedo qualcosa ripreso dal buon vecchio Tenchu..
Di seguito una prima panoramica del nuovo titolo. 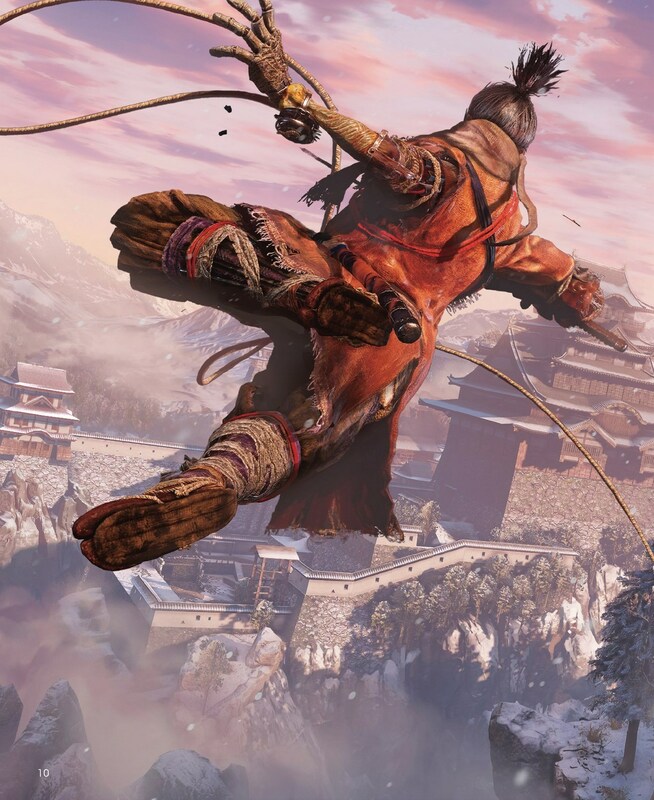 Achieving strategic mastery of “Sekiro” or the “one-armed wolf’s” techniques and abilities, from prosthetic tools, swordplay to stealth and the grappling hook is no easy feat. In grassetto alcuni riferimenti interessanti. Com'era che si diceva all'inizio della scorsa generazione? 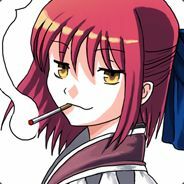 Il Giappone non fa più i videogiochi di una volta? Io a quanto pare ho raggiunto l'entanglement quantistico con Miyazaki, fa i giochi che voglio io. You can use a grappling hook to reach cliffs, rooftops, and more. Based on PC Gamer’s impressions, the grappling hook is not locked to specific grapple points. It can also be used in combat to pull in enemies or get behind them. 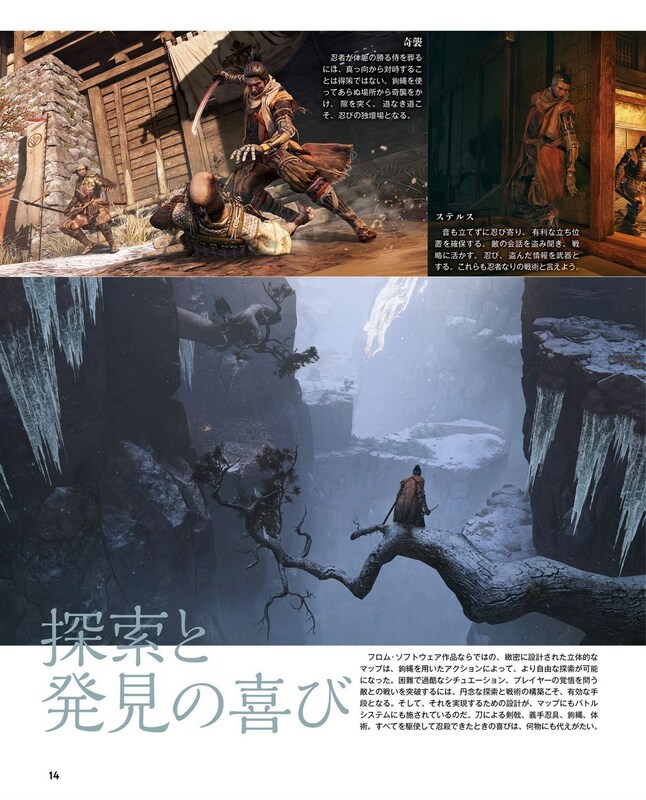 20 nuovi scan di Sekiro, 10 da Famitsu e altrettante da Dengeki. Sto andando a stamparmi il dakimakura. 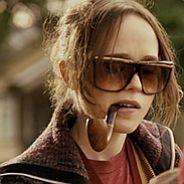 è anche vero che sono tre generi completamente diversi. "You don’t need qualifications to make a difference"
Uscirà il 22 marzo 2019.
is measured by an intense clash of steel. 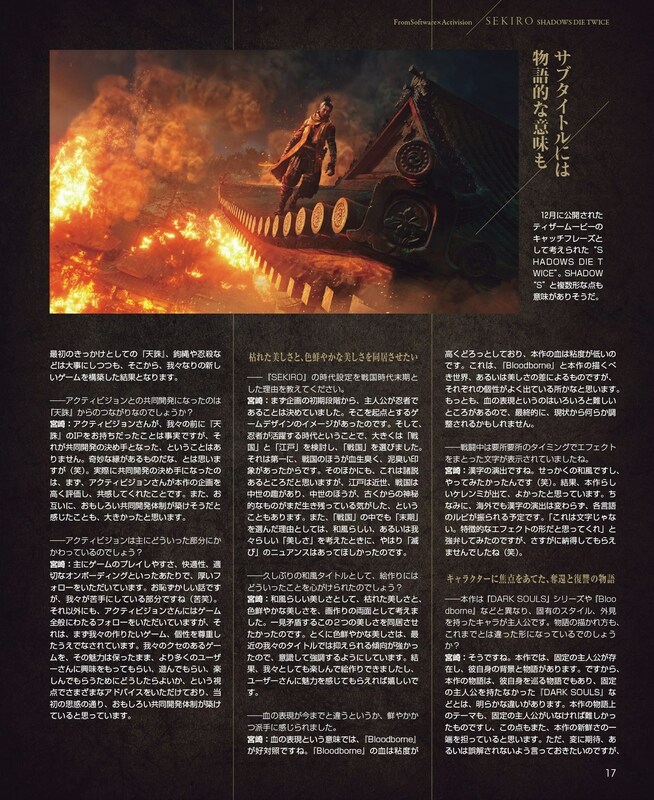 Players will take command of special Sword Arts to supplement their regular attacks, and tear down enemy defenses before sealing the final blow. Players can equip and switch between a variety of unique Prosthetic Tools to find the weakness of a formidable enemy. Additionally, tools such as the Grappling Hook can be utilized to bring an extra dimension to exploration and traversal throughout the world of the game. 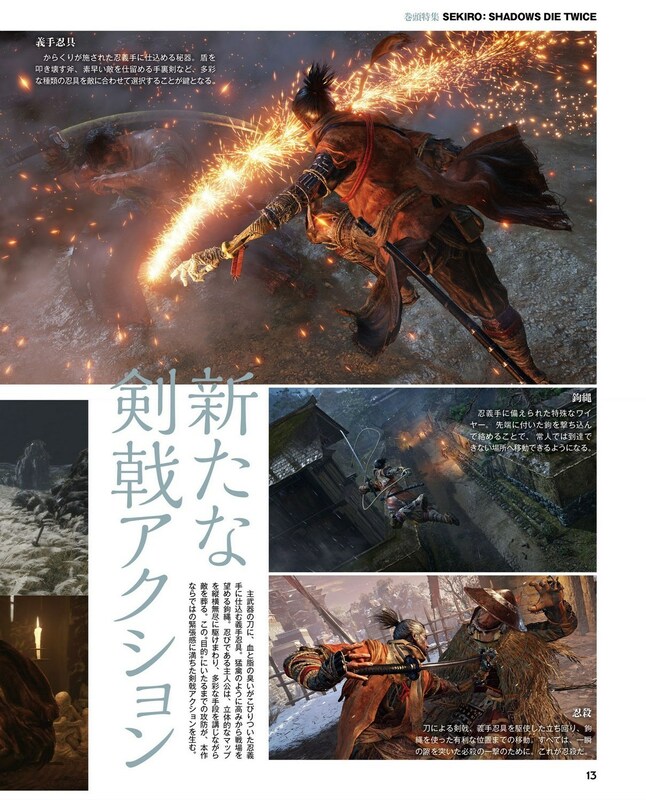 In questo link, 9 diversi video di gameplay di Sekiro, dal Gamescom. Spero che rimuovano le icone verdi per le zone arpionabili, sono un pugno nell'occhio, ed anche la lista della roba a destra, non è possibile che ogni volta che raccogli quell'omino ti esca lo spam che copre mezzo schermo.